Create a Slack channel. This will be used for posting notifications. Server health alerts and other notifications relating to app deployment will be posted here. You may share this channel with the members of the team. 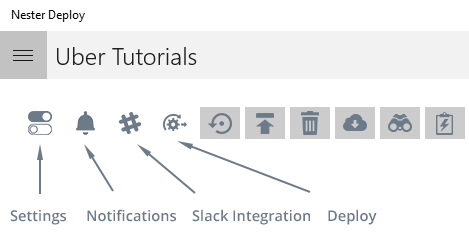 Switch to Nester Deploy app and click on Slack to begin the integration. The Slack App that sends messages to Slack is called Chirpy by Inkton. Authorize the app to begin receiving notifications. 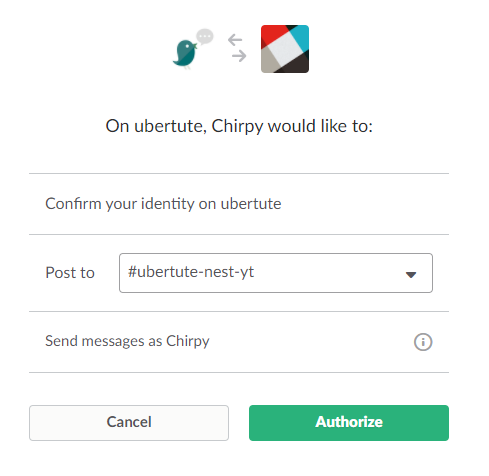 Confirm the Nest App has been hooked up with the Slack channel.